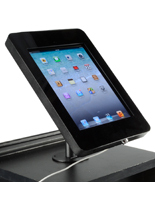 These iPad Holders are Designed for a Countertop. 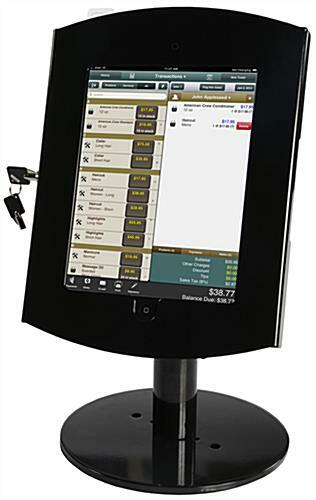 Priced to Sell, These Touchscreen Stations are Affordable! 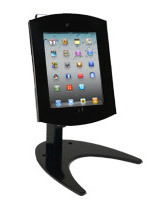 Buy these iPad Holders in Bulk for Even Bigger Savings! 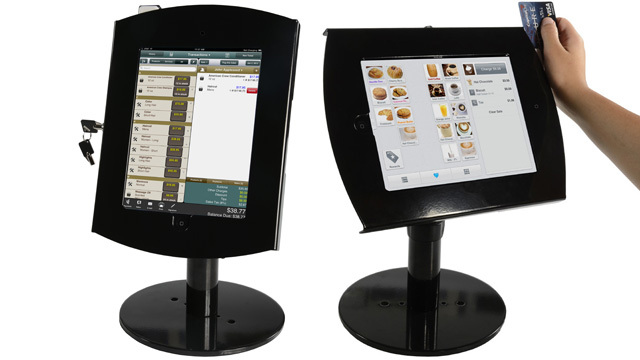 These iPad holders that are point of sale kiosks are perfect for retail venues and restaurants. 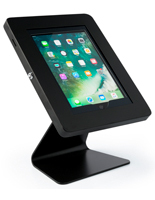 These tablet enclosures accommodate three generations of Apple® touchscreens (2, 3, and 4). 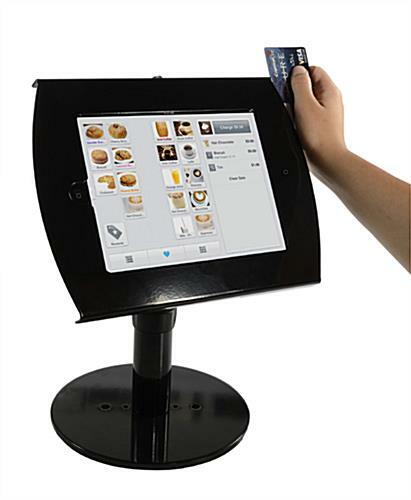 These store supplies, iPad holders are equipped with a Square credit card reader so that customers can pay their bill without waiting for a staff person! 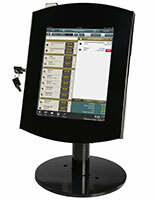 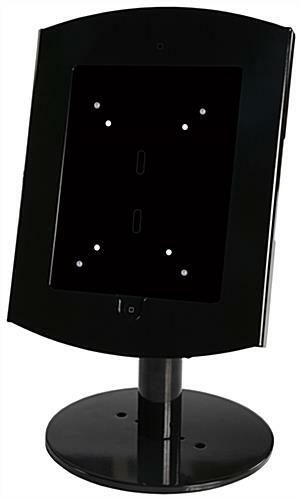 These POS kiosks, such as presentation stations have a stylish glossy black finish. 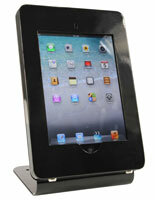 These tablet enclosures that are iPad holders are locking and arrive with a case and two keys. 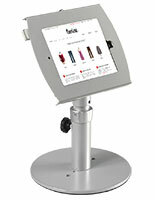 Users can adjust the knob on these point of sale kiosks from 13-1/2" to 15"h. These marketing stations have the ability to rotate fully, tilt to 180° and present either landscape or portrait viewing. 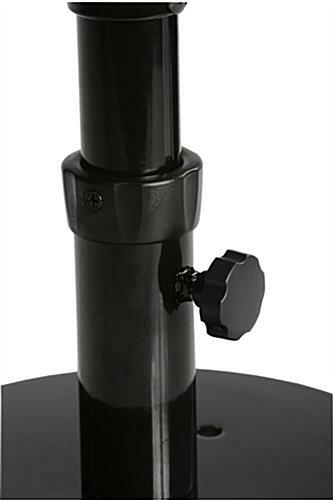 Enclosure Viewable Area: 5-7/8" x 7-3/4"
9.0" x 15.0" x 8.6"